The sharing economy has been getting increasingly popular in recent years, especially with the boom of ride-sharing and bike-sharing services in Singapore. Clearly pervasive, this trend has even spread to container trucks as well. 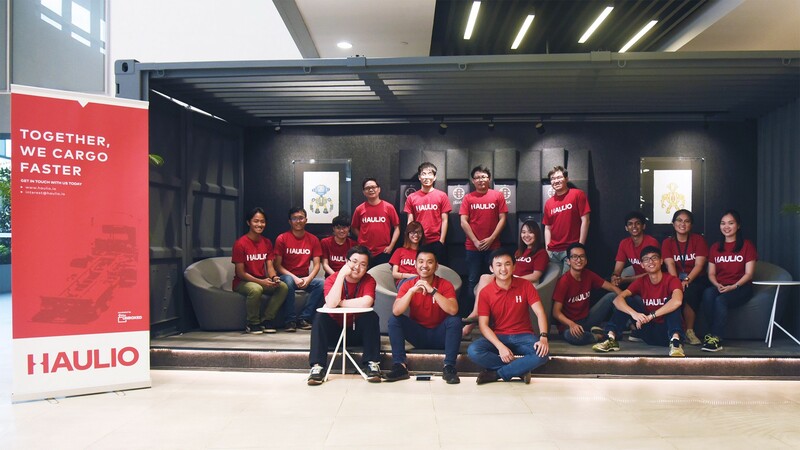 Local startup Haulio aims to evolve the logistics and supply chain industry by providing on-demand haulage services while optimising resources, ensuring both cost and time savings. Founded by two young men, Alvin Ea, 30, CEO of Haulio and Sebastian Shen, 29, CPO of Haulio, the startup officially launched in March 2017. Haulio has since seen significant growth and potential despite being in a very traditional industry. In just a year, they have grown from just the two of them to a team size of close of 15 people today. 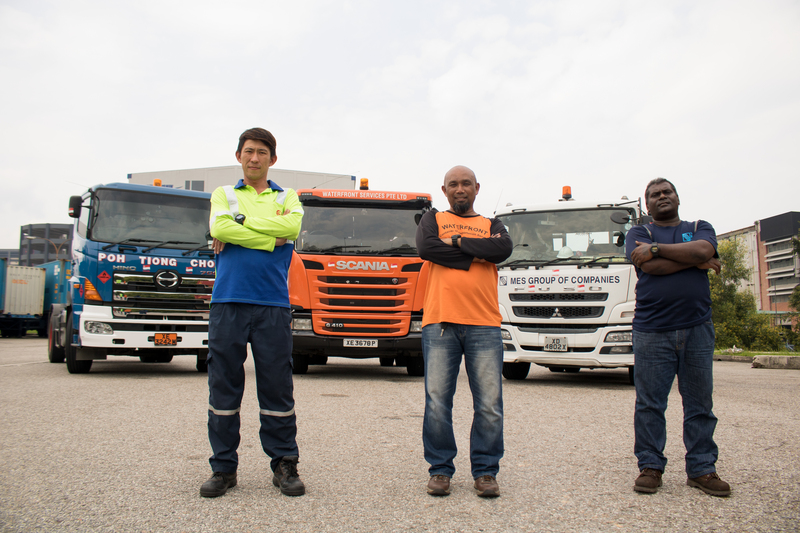 Between the two co-founders, Alvin is the only one with prior experience in the haulage sector. He has been in the industry for six years now and was previously running his own container haulage company, which he grew a fleet of 15 trucks within 3 years. On the other hand, fellow co-founder Sebastian is a former tech and business consultant, where he was exposed to the logistics and e-commerce industry. The two friends decided to marry their respective past job experiences to conceptualise Haulio. According to Alvin, they both harbour a shared vision to digitally transform the traditional supply chain vertical and want to evolve it from Industry 2.0 to Industry 4.0. Haulio is a B2B platform for container haulage designed for industry 4.0. [We deploy] technology as an enabler to the manual business processes of the industry to eliminate the efficiencies and pain points of the various stakeholders within the ecosystem. Essentially, Haulio’s platform allows them to track their containers through IoT (Internet of Things) solutions like smart trailers and scheduling algorithms so they can maximise their fleet of trucks and drivers. By connecting customers to a marketplace of hauliers, Haulio solves the problem of extreme fluctuations in shipments. Big companies can handle sudden shipping spikes because they “have economics of scale [so] they can do good planning,” said Alvin in an interview with The Straits Times. The ones who are on the losing end are the smaller trucking companies. As such, Haulio wants to bring together these ‘underdogs’ on its platform and it has since seen an increased fleet size of over 1,000 trucks. With information from ports on container movements, Haulio is able to match customers’ hauling requirements to available hauliers on-demand. This contrasts with the traditional way of doing business, where end customers and their freight forwarders have to contact individual hauliers directly to arrange for transportation. This prevents delay in shipment, which ultimately helps to save cost (because time is money in the business world). And in return, Haulio takes a 3 to 5 per cent cut from these transactions. 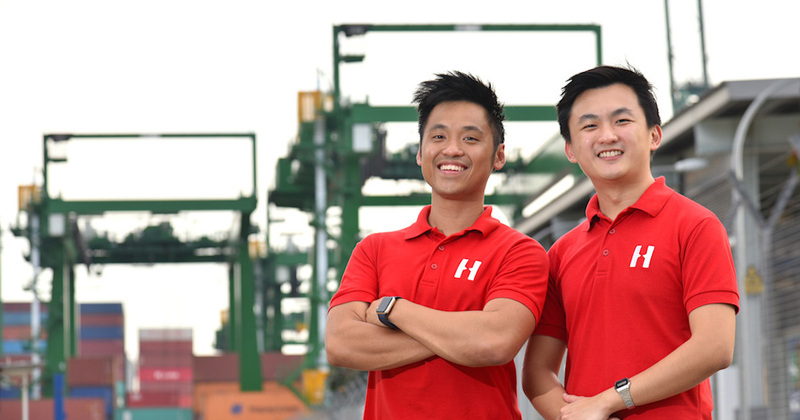 According to Alvin, Haulio was initially launched as a gateway to PSA (Port Singapore Authority) Inter-Terminal Trucking (ITT) through an “on-demand” concept via their platform, which was a tripartite agreement among PSA, Haulio, and the haulier that executes the jobs. This partnership with PSA allows hauliers to use their platform to share and get access to jobs previously unavailable to them. Customers who need help moving their containers put up job notices on the platform, and truck drivers are then assigned to the task based on an algorithm-driven engine. During peak periods, hauliers can use the platform to share the workload amongst themselves to alleviate the burden. 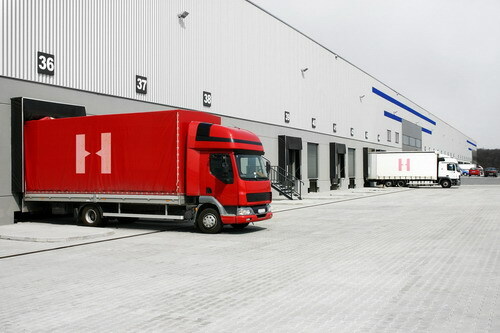 And during lull periods, Haulio opens up PSA ITT jobs in the platform that serves as a consistent and reliable source of revenue for hauliers with spare capacity. In the early days, we had to go around knocking doors to convince the hauliers that these “on-demand” jobs can now offer a new flexibility for their drivers to make more money, especially during lull periods such as night shifts, weekends, or public holidays. This totals up to roughly half a million tons of cargo, and an average of 200 containers are transported each day. “Transactions of TEUs’ growth have been averaging 50% MoM (month over month) with revenue growth at about 20% MoM for the year thus far,” said Alvin. The one-year-old startup admitted that a huge challenge was convincing hauliers to get onboard their platform. 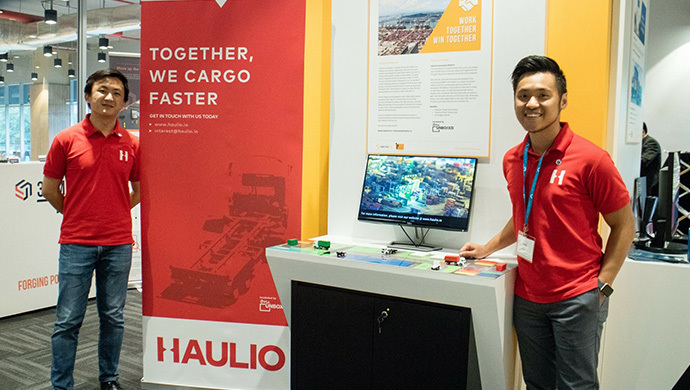 “We see Haulio as more of a technology enabler to the current stakeholders, especially the container haulage industry, which is made up of 230 companies with many ‘towkays’ running the business,” said Alvin. Since they are more traditional with their ways, they are typically uncomfortable with sharing their resources with strangers and they also tend to be fiercely protective of their customer relationships. Hence, a huge problem for Haulio is shifting their mindsets and getting them to learn to share their assets and pool their jobs in order to maximise efficiency. They also make an effort to personally meet up with haulier owners and directly explain to them how their platform works. To aid understanding, Alvin often uses the analogy of using a third-party platform like the Grab app to book taxis. Anyone who is nearby can serve their customers, so they need not depend on their own trucks. “We are not trying to steal your business. If you have nothing much to do, come to me. We’ll try to feed you work, but if you have too much, we’ll help you to manage the workload,” he told The Straits Times. He emphasised that “competition is natural”, and every haulier player can stand to benefit and grow only if they help each other. Essentially, Haulio’s platform works just like Grab, in which containers act as the passengers. The only difference is that customers are the ones who set the prices. When asked why they gave customers free rein on the pricing, Alvin said that they started out as a “free-spirited platform”, much like Carousell, where sellers decide how much they’re willing to pay for the service. Commenting further on its sharing model, Alvin said that hauliers today are already sharing their resources with friends and partners in the industry. This sharing naturally exists because it has become increasingly difficult to cope with the intensity of the peaks and troughs of the jobs. “We do not fix what’s broken. We are able to gain traction because we help bring whatever that’s offline today within the industry, online. What Haulio is doing today is simply extending this trust via our platform across the industry, where we can facilitate that sharing just like how many of the technology companies today have done for their respective space, like Airbnb, Alibaba and Grab. According to Alvin, the founding duo put in a few tens of thousands to kickstart the business, and the startup was since funded by their investors and partners. Although they have yet to break even, Haulio is well on track to becoming profitable. Most recently, Haulio raised US$747,000 in a seed funding in May to scale its business and targets, with a focus on capturing the local market. The round was led by PSA Unboxed — the incubator run by PSA — with participation from 500 Startups, NUS Enterprise, and several angel investors from the logistics industry. 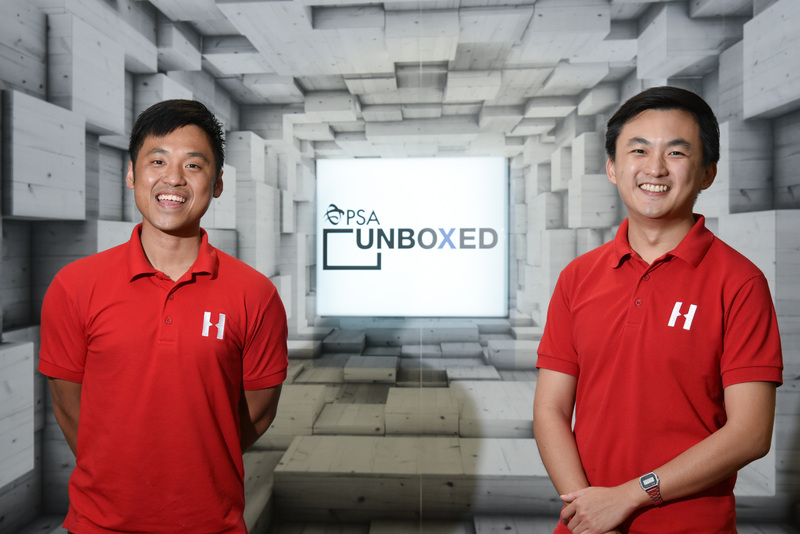 It had previously raised US$56,000 pre-seed funding from PSA Unboxed and NUS Enterprise. In terms of business expansion, Alvin said that they are targeting expansion to ports in Indonesia, Malaysia and Thailand. Moving forward, Haulio aims to better support the haulier ecosystem with its business and technology innovations and ultimately be the change. There’s no problem too big to solve, even in a highly-fragmented industry like ours. There will be many walls and obstacles that will come your way. But the least you could do is try and get started, and learn to deal with them one at a time. This perfectly reflects the company’s motto: together, we cargo faster.